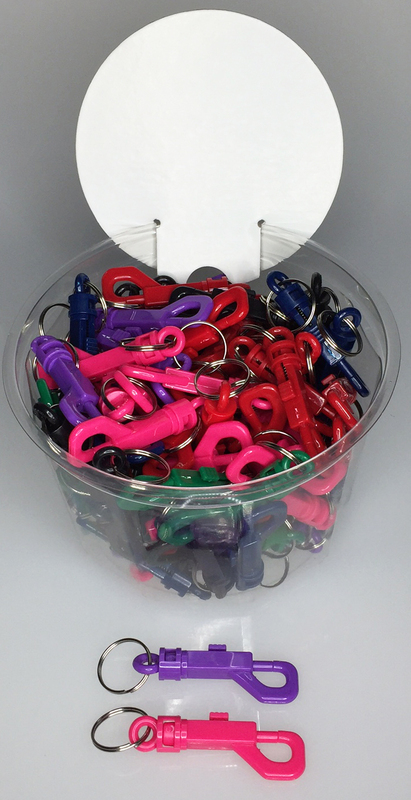 Our PLASTIC KEY CLIPS includes a swivel which allows easy rotation. They measure 3 1/2" which includes a 7/8" split ring. 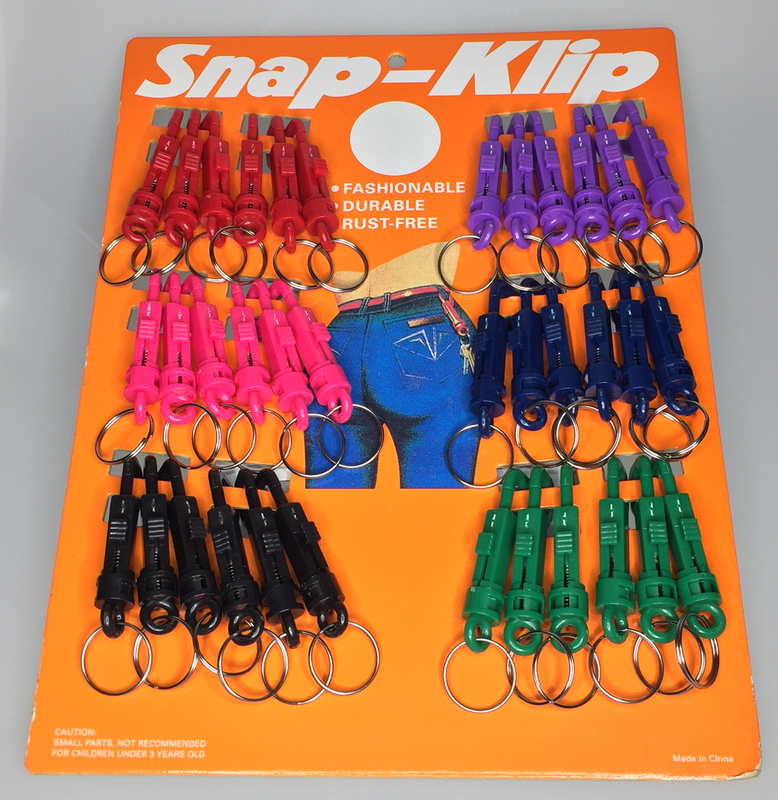 Colors are assorted: BLACK, PURPLE, GREEN, PINK, RED, and BLUE. Packaging is 100/Bag.